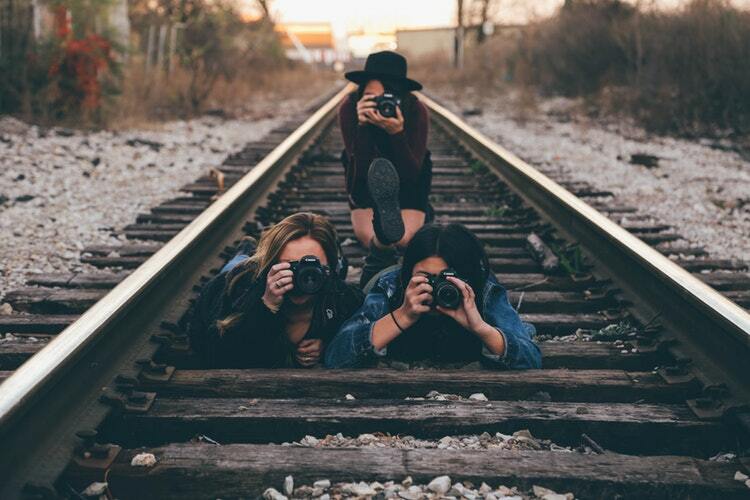 Do you want to engage in a new hobby, like photography? 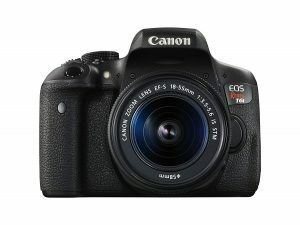 Are you looking to buy one of the best DSLR cameras for beginners to begin with this new hobby? We understand that it is easy to get confused if you are a novice, but do not worry because this guide contains all the necessary information that you need to know before buying your very own best entry level DSLR camera. In this guide, we’ll be making you familiar with some of the most popular DSLR brands which rule the market today. We will also highlight crucial factors that you need to keep in mind before buying a DSLR, and in the end, we will review some of the best DSLR cameras for beginners 2019. Before we move on to these sections, it is important to understand what a DSLR is and how it functions. SHOW ME THE TOP 10 DSLR CAMERAS FOR BEGINNERS NOW! What Is DSLR And How Does It Function? DSLR stands for digital single-lens reflex and these kinds of cameras use a special reflex design to click pictures and make videos. This is what makes them different from other cameras. The special reflex design allows light to pass through the lens of the camera. Then, there is a mirror to connect, which helps deliver images or videos to a built-in image sensor. These cameras are considered the best when it comes to maintaining the quality of a picture as they employ more advanced technologies. There is a specific use for mirrors in a DSLR camera, which makes them different from mirrorless cameras. The mirror in a DSLR allows you to see what you are aiming at, which may be any subject, like a flower or a building, and even makes it look bigger. However, because of the way it functions, it possesses one limitation. It t is important that you know this limitation before you invest your money. A DSLR camera only allows you to make videos which are up to 30 minutes long in one go. So if you want to use it to shoot longer videos, then you will have to push the record button again and again. If you are considering buying a DSLR camera for filming purposes, then we recommend that you should specifically look for professional filming cameras. Other than that, DSLR cameras work best both for clicking pictures and recording videos. Why Should You Buy A DSLR Camera? If you are still confused as to why buy a best beginner DSLR camera in the first place, think again. Is it really possible to make high-quality videos with your smartphone? To make it clearer, nothing can match the quality provided by a DSLR. A DSLR functions well under low light conditions, it accepts external microphones, and helps you take photographs like a pro. That is why, nowadays, people are turning towards DSLRs, and the industry has been blooming since the past few years. Many people use DSLRs to record family events, like birthday celebrations, anniversary parties, and small scale wedding ceremonies. They even record some of their favorite sports events or their child’s first school play. DSLRs are gaining popularity day by day due to their promise of delivering high quality images and videos. With the rise of the internet and social media culture, there are many Vloggers, Youtubers and young artists, who invest in DSLRs to record videos for their channels. 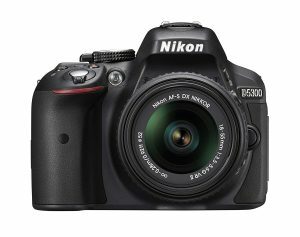 Many famous DSLR brands have now started manufacturing special DSLRs, which come with specific features that are wanted by professional videographers. 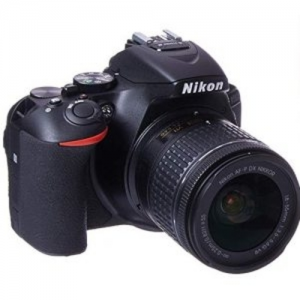 Therefore, DSLRs have got it all and if you are looking to buy one, then do not wait any longer. Before you start getting bothered with other simple yet important questions, just read this guide thoroughly, and maybe all your queries will be cleared. The next section of this guide is about important factors to consider before purchasing the best DSLR camera for beginners. Buying a DSLR is not similar to buying cheese from a grocery store. Of course you have to spend a couple hundred dollars and you do not want to get disappointed with what you have purchased. So before you directly go on looking for a best starter DSLR camera online, it is better to know some of the most crucial factors which will help you find the right DSLR camera. Consider How You Want To Use A Dslr Camera? The very first step is to carefully establish what projects and subjects you want to focus on. There are various reasons why people invest in a DSLR, some buy it to record family gatherings and sports events while others use it for professional photography. Some people like to go on adventures and capture wildlife and nature, and then there are young Youtubers who record online vlogs. You have got to ask yourself how you will be using it. This will also regulate what kind of lenses, lighting, and other equipment you will further require. Different DSLR models offer different features and are specially designed to capture images or record high quality videos. 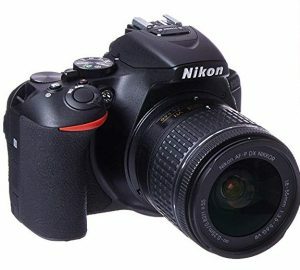 Even some of the most popular DSLR brands manufacture best DSLR cameras for beginners which serve different functions. For example, Nikon’s DSLR cameras are great for capturing colorful and bright images, like pictures of flowers. They are also good for shooting people and animals. Canon, on the other hand, manufactures DSLRs which are great for shooting fashion, models, sports events, etc. You are the one who has to decide how you want to use your camera. If you can’t, then do not panic because there are several other models which perform the same functions in a simpler manner. This is a long term investment. It is natural that you would want to make some transformations and change your equipment a few years later. Before making your final decision, check out which other kinds of lenses can be used on your camera body. At present, you may not be interested in experimenting with your DSLR or engaging in different forms of photography. However, in the near future, you may want to explore more and experiment with different photography genres. Keep in mind that you can think about modifying your camera in the future for better use. When buying a DSLR, just remember that you do not have to overspend on the body of the camera. Even if you purchase one of the best entry level cameras, it is the lens that matters the most. Lenses are important for adding distinctiveness, momentum and power to your photography. The body of the camera for sure is the base, but it the lens which helps you click a variety of pictures. As we had said in the previous point, invest in a camera which you can easily modify later. Different lenses will help you experiment and explore various photography genres. So the main function of the body is to provide the basic foundation to attach the lens. Hence, you do not need to shell out a lot of money to buy intricate cameras with multiple settings. As a beginner, you may not be familiar with such complicated settings so they will be of no use to you until much later. One of the first few steps is to understand the tool and the craft involved in it. It is only much later that you can start exploring other lavish things. If you are low on budget, do not consider buying DSLRs with lavish bodies and complicated settings. Some of the best DSLR cameras for beginners come with features which help you record HD videos. A lot of photographers who plan on exploring more, consider investing in a camera which offers a video option, even if they do not engage in video recording at present. Video recording may escalate the total cost of the camera, but there are many who never use their DSLRs to record videos. So if you too see yourself not using your camera for filming videos, then it is better not to pay more unnecessarily. Instead, you can r invest in other kinds of lenses. With the increase in online shopping, there are many websites like Flipkart and eBay, which sell electronic products like washing machines, baking ovens, cameras, etc. However, before you blindly decide to buy from any of these websites, make sure you check the dependability of the website, the return and exchange policies it offers, the quality of the product it offers, etc. 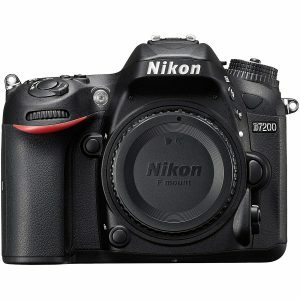 On Amazon, you will be able to find a variety of DSLRs from several brands, covering different price ranges. Make sure you check other specificities which differ from product to product, or brand to brand, depending on the seller. Online retailers and big photography stores can offer a billion “hot terms” and alter your opinion. Sometimes they just want to sell old products which they were not able to sell during the previous season, and therefore offer huge discounts. It is, therefore, important to be cautious, because these offers can make it tough for you to focus on what you really require. You may get a good camera at a reasonable price, but then later you may come to know that it is an old model. Some retailers do not even offer return or exchange policies. Therefore, you ought to research before you seal any deal. The best option is to contact any friend or acquaintance who is into cameras and photography, as they will be able to guide you better. Find out who your friends trust for industry and equipment needs. Gathering all this information will help you evolve throughout your journey from a novice to a professional photographer. There are many other features which a DSLR offers, and we will be talking about them in the next few points. One of them is the flash capability of the camera. You definitely want to take this into consideration while purchasing the best professional camera for beginner. A flash is an important feature if you plan to engage in a lot of spontaneous shooting. For instance, some people love to capture wildlife, small animals, or the scenic beauty when they go out. Such kind of photography, which is done outside the studio, demands the use of flash. You need to read up more about the sensor size of a camera before buying the best DSLR for beginners. There are different sensor sizes available, like full-frame, mirrorless, etc. Sensor size affects the quality of the picture you capture. If you personally know someone who is into photography and cameras, then speak to him or her, and get informed about the sensor size. Even a child is familiar with this word when talking about cameras: megapixels. With the smartphone explosion in the second decade of the twenty-first century, many phone manufacturers try to entice buyers with the megapixels a phone camera offers. This is where we get some idea about how important megapixels are for buyers. However, you need to know that DSLRs work in a very different way. First of all, the amounts of megapixels you get in a DSLR, is nothing near that of what is offered by a smartphone or a tablet. You need to assess what you will be shooting, consider the lighting scenarios, as some photographers work under low light conditions too, and consider how large you will be printing before settling on the amount of megapixels you want. If you want a DSLR camera for regular shoots, or engaging in photography as a recreational activity, and nothing professional, then you do not require megapixels that a Leica or Hasselblad offer. 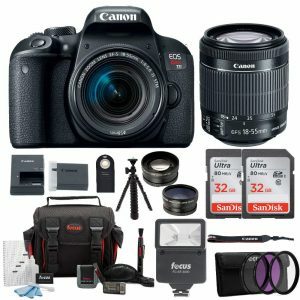 You need to decide how much exactly you are willing to pay for a brand new DSLR camera. You personally know how much your pocket allows. As we have already mentioned, today there are a lot of options which are available, and that can easily boggle your head. Forming a budget is a crucial step to further shorten your final list. You can also form a budget from the beginning and it can act as a defining criteria for your list. Some of the best DSLR cameras for beginners can cost as less as $300 to $1000. How much you pay, regulates the kind of model you get. It is very simple; the sweeter you want your pie to taste, the more sugar you will have to add. So if you keep increasing your budget, the more features you will get. A lot of DSLR models come with a single standard lens which works well for both recording videos and clicking pictures. If you are not a professional who is looking for some specific kind of shoot, using what comes with the body will work perfectly for you. Some people prefer buying only the body of the camera and then choose the lenses themselves for specific purposes and shoots. If you are low on budget and do not want to spend on fancy lenses, but want something which could help you shoot 1080p videos, then going with the whole package is a good option. It costs less and you won’t have to separately look for lens sets online. If you are still bothered by a few more doubts, then you can read more about DSLR lenses and check online websites which offer more information. There are many features which DSLR cameras offer, but making a final deal depends on what you personally want and how much you want to spend. A variety of features like ISO, back focus, shooting models, highlight control, lighting control, exposure compensation, etc are available. We recommend you go through the details of the additional features your selected model comes with. The more features a model comes with, the more will be its price. So if you feel that certain features in your selected model are quite unnecessary, you can always look for other models. It is important to note that models which offer limited features are priced low as compared to other models. There are several kinds of DSLR accessories which are available online and you can buy them once you get accustomed to your camera features and functions. Accessories like tripods, extra lenses, straps, camera bag, etc will be required after you have bought your first best beginner DSLR camera 2018. Some people who later get too involved in photography require video editing softwares to edit the recorded videos like a professional. If you are a beginner who has started developing interest in photography recently, we suggest that you read up on the camera accessories which are crucial. There are many online retailers which offer necessary camera accessories with their package. Keep that in mind to make the most out of your deal. There are certain accessories that you just can’t neglect, and eventually, will have to buy. That is why we recommend that you construct your budget accordingly. This is also another important factor to consider while purchasing the best entry level camera. Standard DSLR cameras offer 1080p, and if you come across a model which doesn’t offer that much then it is not worth a second look. If you are able to get a DSLR camera which offers 30 fps, seal the deal as quickly as you can. If you want to invest in something more advanced to accomplish your professional work, we suggest you give a look at the compression kinds or digic processors. However, such advanced cameras also cost more; keep that in mind. As a beginner, you can go with something not that advanced. Sometimes, people forget to check this because they think it is really silly. There are a few online retailers out there who do not wish to label their models as clearly as they need to do. This can result in you ordering something else than what gets delivered to you because of your own negligence. Such retailers tend to confuse you by not labeling their products. They even name their models differently to sell them in different countries, claiming that an old model is actually a latest one. You need to take care of these scams as well, so that you do not end up being deceived. Those who are not careful end up purchasing a model at a price which is way more than the market price. This factor is for those who want to buy new camera bodies to use with their older lens. Some people have these old lenses because their camera body may have gotten lost or damaged. Luckily, old lenses can be used in some of the latest DSLR models. Situations can vary with different manufacturer though. For example, Canon’s DSLR models work with EF lenses without any issues. However, make sure that you check properly before attaching the old lenses to a new camera body to prevent any damages. You can read up on the manufacturer’s website or visit your nearest camera retailer to get more information on the use of older lenses. Some camera bodies are more compatible with older lenses, because of differences in their design and functioning. In the end, you need to check if you have the lens-to-camera in the correct order. It is a good idea to think about future upgrades and modifications. At present, you may not be interested in them, but in the near future you may want to make a few changes here and there. Everyone likes to experiment with their photography skills and techniques. It is better if you consider other products which cost almost the same. You can have a look at other models which you may want to buy some time later. It is always better to invest in a model which offers more upgraded options than the one which offers minimum options. We are done with our 15 most important factors to consider before purchasing the best DSLR camera for beginner. Keep all these points in mind before investing your money in a DSLR. Now, we move to the last section of our guide which deals with reviews of some of the most popular DSLRS cameras for beginners. This section of the guide features reviews of best beginner DSLR cameras 2018 by some of the most popular brands, like Canon and Nikon. You can add these models to your shopping cart if you think that they match with your requirements. Several retailers are selling these models online; you can check Amazon for some of the best deals. 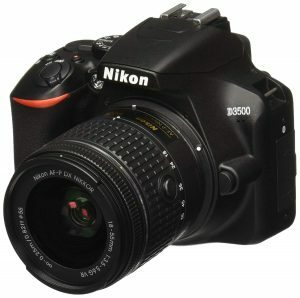 The very first model on our list of best DSLR cameras for beginners is by the Tokyo-based renowned camera brand: Nikon. One of the most special features of Nikon D3400 is that it offers SnapBridge Bluetooth connectivity. It comes with EXPEED 4 image processor, as well as, a 24.2MP DX-Format CMOS sensor. It is equipped with no optical low pass filter. It offers 5 fps video quality while shooting and you can share your photos with others in your group via its Wi-Fi functionality feature. The Bluetooth specification version of this camera is 4.1. This is another model by Nikon from its D5 series. The models in this series cost more than the D3 models due to some extra features that they boast of. 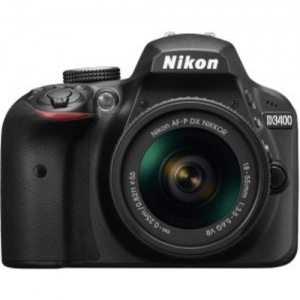 This particular model comes with 24.2MP DX-Format CMOS sensor and EXPEED 4 image processor. It also offers full HD 1080p video recording at 60 fps. We had earlier stated that a camera which offers video recording at 30 fps or more is one of the best. This model offers 60 fps at a reasonable price. Need more reasons to buy this model? It also lets you share your photos and transfer them to your smartphones with the help of its Wi-Fi with NFC feature. It also comes with SnapBridge Bluetooth connectivity, as well as, Dot Vari-Angle touch screen. You can use various lenses on this camera’s body, like AF-S, AF-P, AF-I, etc. This means, if in the near future, you want to experiment with your photography skills and techniques, and shoot videos in different styles, you can always buy another kind of lens and attach it to your camera. Thus, you can click a wide range of photos and film varying videos. Now, we move on to some of the best DSLR models by Canon. This particular model comes with additional accessories plus one year warranty period by the brand itself. It uses a DIGIC 7 image processor and allows you to record full HD 1080p videos at 60 fps. It also features a built-in Wi-Fi system, 9-point AF system, NFC and Bluetooth. The extra accessories it comes with include a 50 inch tripod, 2 lens hoods to cover them properly, a slave flash, water resistant camera case which is soft and padded, Canon original battery with charger, a camera strap by the brand and a 32GB Sandisk memory card. This is one of the best DSLR cameras for beginners, because even with all these features, this camera is not too expensive. It is very much affordable and there is no doubt about the quality of this camera. This is another model from the Nikon D3 series. The best part is that it costs less than $400 and is very easy to use, just like a point and shoot camera. If you are a beginner and want to invest in a DSLR, but are low on budget, then you should definitely consider this model. It is not only pocket-friendly but it also carries with it the brand’s name and quality. It is very much compact and easy to carry. So if you want to record a sports event or your kid’s first school play, this camera is the ideal deal. It uses image sensors which are 15 times larger than those used in expensive smart-phones. It guarantees sharper and clearer pictures, as well a,s full HD 1080p videos with monaural sound. You can get all this just by pressing a button. It functions with the brand’s exclusive SnapBridge app, which allows you to share photos with smartphones and tablets. 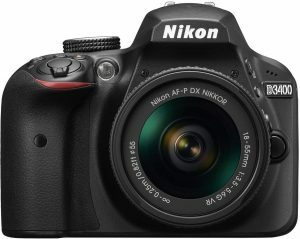 This is yet another model from the Nikon D5 series and uses 24MP DX-Format CMOS sensor with no optical low-pass filter. It employs 39 point AF system 3D tracking, as well as, 3D matrix metering. It offers 5 fps continuous shooting, plus 3.2 Vari-angle LCD with nearly 1,037,000 dots. It comes with built-in Wi-Fi for sharing photos and videos, and a GPS system. It is available in different sizes, and offers a dual lens kit too. Despite all these features, it is available at an extremely affordable price. This one is from the EOS rebel series launched by Canon. It comes with 24.2 Megapixel CMOS sensor and ISO 100-12800. The EOS full HD movie mode helps you capture high-quality videos in MP4 format. You can even control the brightness level as it offers 7 different levels. It allows for 5fps continuous shooting so that you can capture fast action. It also boasts of a 19 point cross-type AF system, which delivers amazing autofocus performance. Moreover, it has built-in Wi-Fi and NFC too. We are now on the third model from Nikon’s D5 series, because models from this range are not only affordable but also offer the best of features. It is one of the best DSLR cameras for beginners because it allows you to shoot videos at 5 fps. It features 24 Megapixels DX-Format CMOS sensor, like other models in this range, plus a 39-point dynamic area AF system with 3D tracking. You can shoot full HD v1080p videos with this one. Similar to other models in this range, it also allows you to share photos via its in-built Wi-Fi system. It is GPS compatible, but that is sold separately. This one is perhaps the least expensive model on our list of best DSLR camera for beginners 2018 as it costs less than $350. You can shoot at 5ps and record high-quality videos. It uses 24.2 megapixels CMOS DX-Format sensors. It also offers 11 AF points with 3D tracking, ISO 100-12800, 3 inch LCD screen with 921,000 dots, and optical zoom. This model is a little expensive, because it offers multiple features. It comes with 24.2 megapixels sensors and a 45 point autofocus system which delivers clear images and precise autofocus, no matter what you are capturing. Both landscape and portrait photography are possible. With this camera you can record HDR videos at the rate of 60 fp. This one is indeed a professional camera, so only go for it if you do not have any budget constraints and probably want to experiment more in the near future. Its optical design consists of a high-precision aspheric lens which helps minimize chromatic aberration throughout the zoom range. It also comes with a warranty period by the brand. 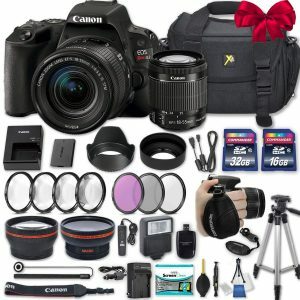 The whole bundle includes many other additional camera accessories like a filter kit, digital slave flash, focus 58 mm 2 piece wide and tele lens set, two Sandisk Ultra 32GB SD cards, a wireless shutter release and a 12-inch spider tripod. This model features the highest number of accessories anyone could ask for. However, if you do not want to spend much and think that some of the accessories it offers are not what you require, we suggest you opt for other models. The last model on our list of top 10 best DSLR cameras for beginners is from Nikon’s 7 series. It features 24.2 megapixels DX-Format CMOS image sensor, no optical low-pass filter (OLPF), 51 point autofocus system, and 6 frames per second shooting capacity. It uses EXPEED 4 image processor and promises to deliver high-quality images and videos. Now we have come to the end of our guide, and we hope that it has provided you with useful information about DSLRs, and the factors necessary to consider before buying the best DSLR camera for beginners. Keep in mind all the factors that we have listed as they will help you in shortlisting the model best-suited for you. Form a budget and look for models which fit into that budget. You can check out the models we have listed in this guide, but that does not mean that you necessarily have to stick to them. You can check out other similar models and read up more about their features by visiting the manufacturer’s website.